For David Fincannon, president of A-All Pest Control, hanging onto an old issue of Pest Management Professional (PMP) turned out to be one smart move. 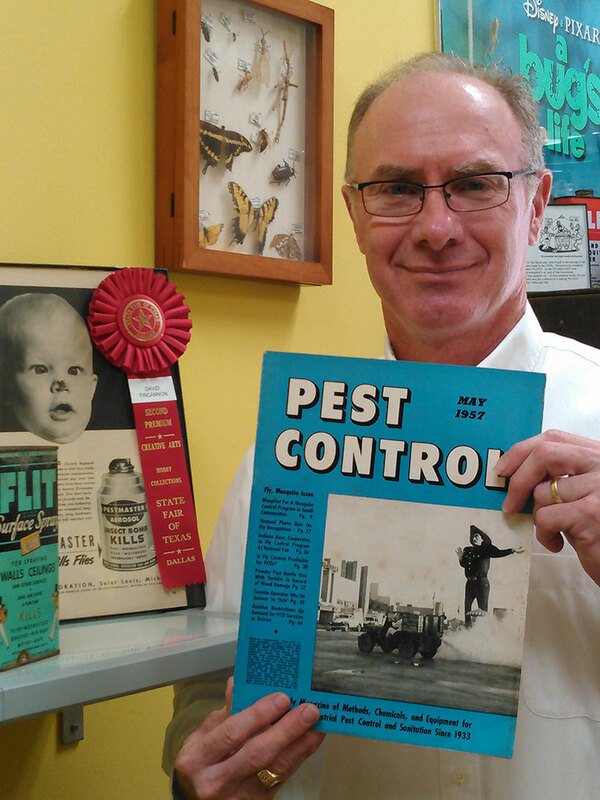 This year, Fincannon entered one of his copies—yes, one—of the May 1957 issue of PMP, formerly known as Pest Control, into a collections contest at the State Fair of Texas. The issue, featuring “Big Tex” with a PCO fogging machine for flies, brought home an honorable mention in the category, Collections-Texas. Two years ago he received a 2nd place ribbon in the Collections-Advertising category with two items seen in the above picture. There are 96 categories this year at the Texas State Fair under Hobby Collections. A hobbyist can enter only in three of the categories. Most categories require two items that are at least 30 years old, or the antique category submission is one item submitted that has to be at least 100 years old.